The amount of vegetables you eat isn't the only thing you need to take into consideration. You also need to consume fruits and vegetables in a variety of different colors. Since childhood, we’ve been told to “eat your greens!”, but what about our oranges, whites, browns, reds, purples and blues? As creatures of habit, it’s easy to get stuck in a routine of eating the same types of fruits and vegetables over and over again. Green vegetables contain a range of phytochemicals including carotenoids, indoles and saponins, all of which have anti-cancer properties (8). 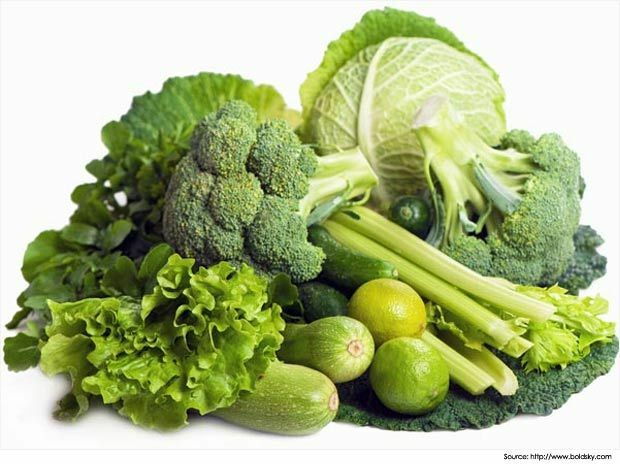 Leafy greens such as spinach and broccoli are also excellent sources of folate. 3. Use a Rainbow Planner. Create a rainbow weekly planner sheet. Print it out and put it on your fridge. Then check off the colors you eat each day. Over time, you'll get a nice visual of which colors you're lacking. P.S. Discover how you can expand your palette with colour with Nicolette Richer’s nutritional tip of the week (founder of Sea to Sky Thrivers & The Green Moustache). Watch the video here.